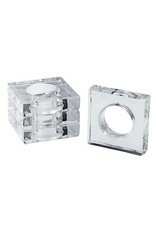 Acrylic Napkin Rings Box set of 4 Square with Round Center Napkin Rings. 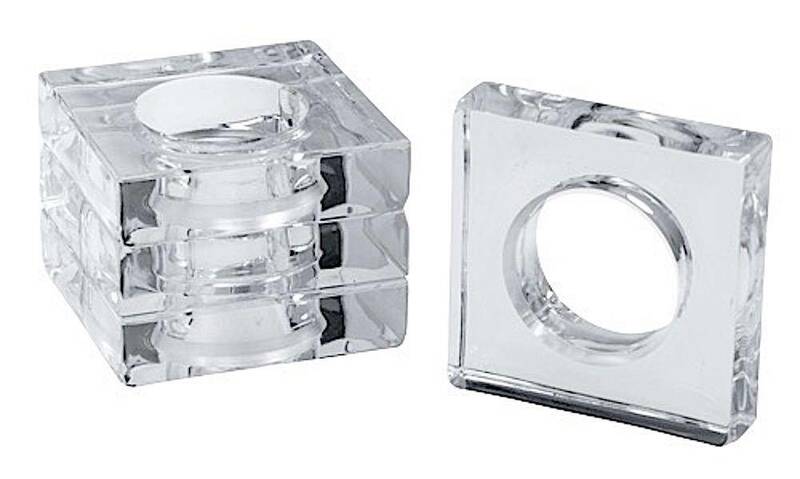 Create elegant and modern table settings with these Caspari Napkin rings napkin . Size: 2.5 x 2.5 inches. Caspari Acrylic Collection. Acrylic Products and Table Top Accessories for Entertaining.